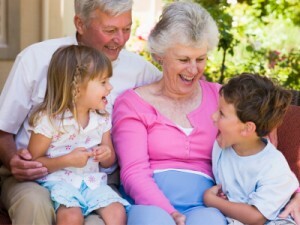 Grandparents may be unaware of the financial opportu nity that exists in providing for their grandchildren beyond paying a lump sum death benefit via their estate. If financial dependency exists or can be established under superannuation and taxation law, then the grandchild is able to receive a tax-free superannuation death benefit income stream regardless of their age. For superannuation purposes the definition of ‘dependent’ includes the spouse of the person, any child of the person and any person whom the person has an interdependency relationship at the time of death. The dependant may also have wealth or income of their own which will not impact on the financial dependency. The person may also be wholly or partially dependent on the deceased, whose financial contribution does not need to be relied upon for basic living requirements. The ATO is more stringent in its definition of financial dependency and requires that people show reliance on regular and continuous contributions to establish dependency. The trustee of a superannuation fund will need evidence, in the form of itemised expenditure from the deceased to grandchild, to make a decision on whether the person is able to receive the death benefit income stream. When a fund member dies, trustees will permit the payment of a pension to a dependant, usually a child of the deceased under 18 years, a stepchild under 18 years, or in some circumstances a grandchild of the deceased. This income stream is known as the child death benefits pension. However, where financial dependency has been established between a deceased grandparent and their grandchild, the ‘grandchild pension’ holds considerable tax benefits over the child pension. One of the main advantages is that there is no age limit for the grandchild pension while the child pension ends when the child turns 25. A child pension is taxed at the adult marginal rate, with a 15 per cent tax offset. Comparably, the grandchild pension is tax-free as a non-assessable non-exempt income. There is also an effective tax-free threshold for the child pension at $49,753, with no such limit for a grandchild pension. Identifying the opportunity to pay a tax-free death benefit income stream to a grandchild due to financial dependency can be a significant outcome for grandparents. If you need help in planning for your financial future, contact our financial planner Tweed Heads and beyond.